For the NGV garden we proposed hammocks, within an potentially endless grid structure. 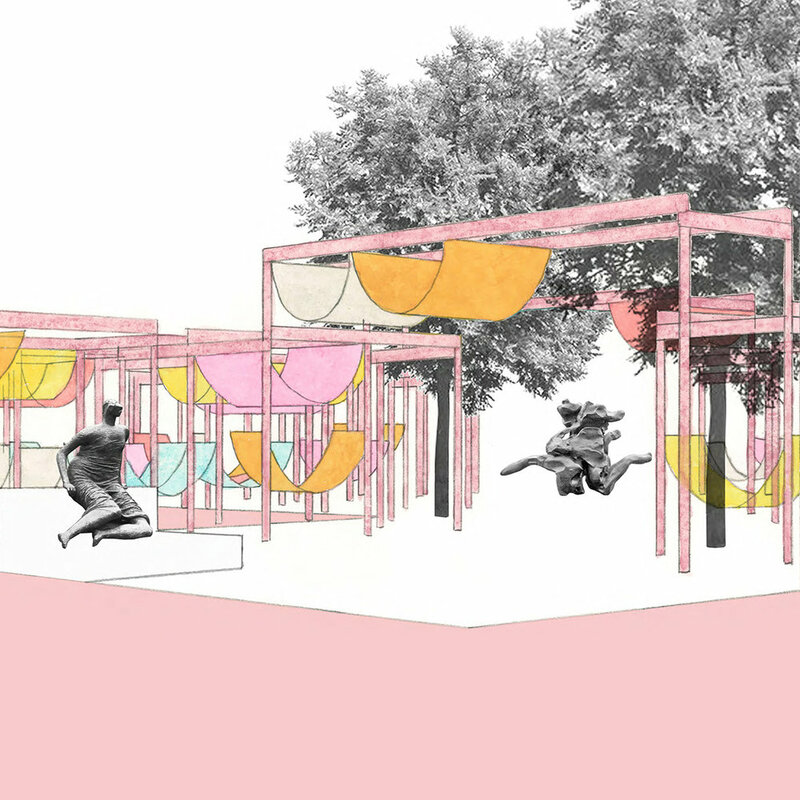 The idea was playful, with a tongue in cheek reference to Roy Grounds' NGV arch, and strategies for arranging hammocks to encourage social interaction. During the design process we talked about 1960s structuralism and Archizoom's No Stop City - framework architecture.